Exoplanet polarimetry astronomers will tell you one of the strengths of polarimetry is that it naturally nulls the starlight, so you know the signal you're getting is not from the star. However, they will also tell you this isn't true in every case. Stars themselves can produce polarised light signals from the Rayleigh scattering in their limbs (i.e. looking through the upper atmosphere at the edges of the star). This can produce a signal when their limbs are asymmetric either from being obscured by planets or star spots, or from rotational or tidal distortion which can distort the atmosphere through gravity darkening, essentially changing the distribution of the darkened regions. Our star, the Sun with star spots and Venus passing through its darkened limb. Learning more about these exceptions to the rule is vital to the future of reliable exoplanet polarimetry and is inherently a fascinating way to learn about stars. The reason most stars don't produce much polarised light from their own atmospheres has to do with the way we measure linearly polarised light (light whose electric field oscillates along a particular plane). The orientation of polarized light is denoted by “Stokes parameters”, Q and I are for linearly polarised light and are offset from each other by 45 degrees. They can be either negative or positive with the signs offset by 90 degrees. Stokes parameters. Stokes Q and U are used to measure polarised light. Because they are vector, not just scalar quantities they encode information about the orientation of the objects polarising the light. On a symmetric star with an unobscured limb, no star spots, no planets moving through the limb, and no gravitational distortion those Stokes parameters cancel each other out. Equal values of positive Q to negative Q equal zero, and so on. You can imagine then, if the polarised light from a stellar limb is tangential to the surface that, taking the tangent as you move around a circle, the positive values in Q would be perfectly negated by the negative values a quarter of the way around from there. If it’s a perfect circle this works out perfectly giving you a net value of zero polarised light. In a case where there is substantial gravity darkening, as on a rapidly rotating star, those additional darkened regions produce a strengthened signal in polarised light. And since the darkening is spatially dependent---along the equator where a fast rotator will bulge out---it creates a polarised light signal. Now we consider Regulus. Regulus is a multi-star system but the primary star, which we were observing, is a large blue-white star that rotates on its axis every 15.9 hours. That’s very fast, especially considering it’s a bigger, more extended star than our sun. 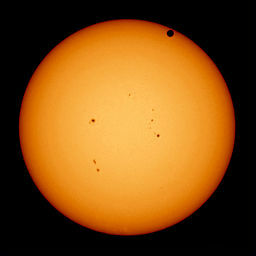 Our own sun takes about twenty-four-and-a-half days to rotate and is much smaller. Regulus rotates so rapidly that it bulges in the middle as you might expect when picturing a centrifugal “force” acting on a body that would otherwise be ball-shaped. Planets like Jupiter also bulge in this way from spinning too fast. McAllister et al 2005 took interferometric measurements of Regulus enabling them to infer the distortion, map the gravity darkening, and find the orientation of the star. Long before that, Harrington & Collins 1968 predicted that distorted stars like these would produce a polarised light signal by the means I've just described. That effect is what our team detected with the wee little HiPPI polarimeter attached to the Anglo-Australian Telescope. Look for our paper (Cotton et al) in Nature Astronomy. Updates: Learn more from this popular science article or the actual paper here! Observations: Positive values of U with negative values of Q give way to negative values of U and positive values of Q as we move towards shorter (bluer) wavelengths. The gray points are averaged over observations. The red points are corrected for interstellar polarisation. The blue line is the fitted orientation axis from this adjusted data. The green dashed lines show the bounds of the orientation axis from previous interferometric measurements. Models (VSTAR): The top panel here shows a model of the gravitational darkening for Regulus. The lower two panels show the polarisation vectors overlaid onto the surface. Note the polarisation is stronger for the bluer (400nm) wavelengths because this is driven by Rayleigh scattering. In redder (700 nm) light we see a strong signal in negative Stokes Q.